Directly by the sea front, on the south-east coast of Rhodes Island within the unspoilt landscape of Lachania, right on Lachania beach and close to Prasonisi where the Mediterranean and Aegean seas meet, stands The Atrium Prestige Thalasso Spa Resort & Villas. 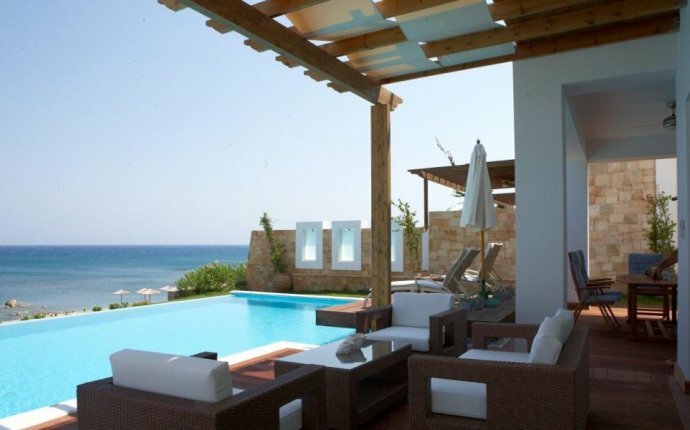 Stunning Greek architecture with divine azure views, captivating scenery, fabulous accommodations and an impressive AnaNeosis Thalasso Spa offer a luxury holiday experience in Rhodes created and captured in your mind forever. The Atrium Prestige luxury 5 start hotel offers spectacular Mediterranean sea views from all three descending levels. Ambience and remarkable decor compliment beloved moments. Endless time of relaxation at the heart of Lachania Beach in the most refined of atmospheres. The Atrium Prestige Thalasso Spa Resort & Villas 100.000 sq m of panoramic expanse comprises of 4 restaurants, 3 bars, a state of the art AnaNeosis Thalasso Spa Centre with indoor heated salt water, 2 lagoon shaped outdoor pools where one hosts a small traditional chapel, an indoor heated pool and kindergarten area, an ultimate resort getaway on Lachania beach for adults and children in the island of Rhodes in Greece. Set along the stunning beach stretch; sea, sun & silence are guaranteed. Recreation and entertainment at the Atrium Prestige Thalasso Spa Resort & Villas is offered for both adults and children of all ages. From daytime animation and sport activities to live music shows in the evenings.